This unique and exciting brief was focused on sustainability and 'upcycling'. Our client asked us to design two rooms in their beautiful north London home. The challenge was to use locally and ethically sourced items that had a history and their own story to tell. 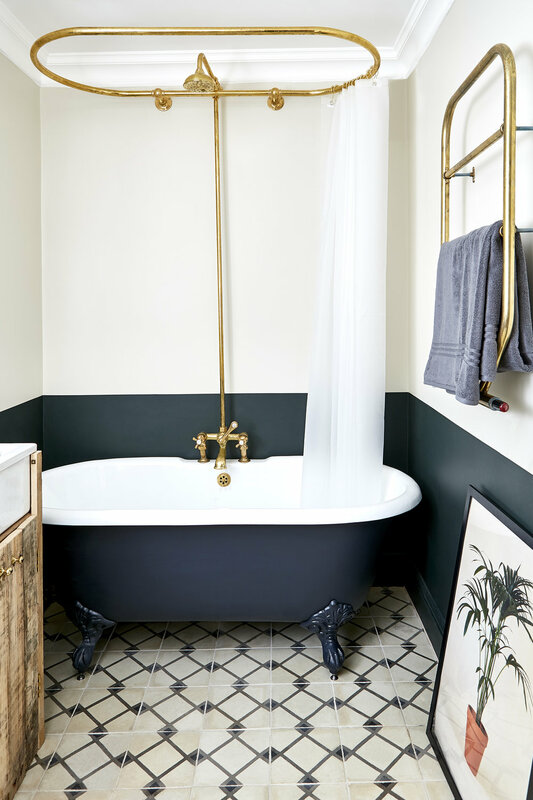 Taking inspiration from the property's rustic charm, we found tiles from a derelict villa in Seville, wood from a former school laboratory and bathware from a salvage yard in Norfolk. The accessories were all collected in vintage furniture shops on the nearby Holloway Road. This project proves that new is not always best, and we love it. Huxley Home Design Group Ltd.